The changes will take effect the week of Feb. 18. 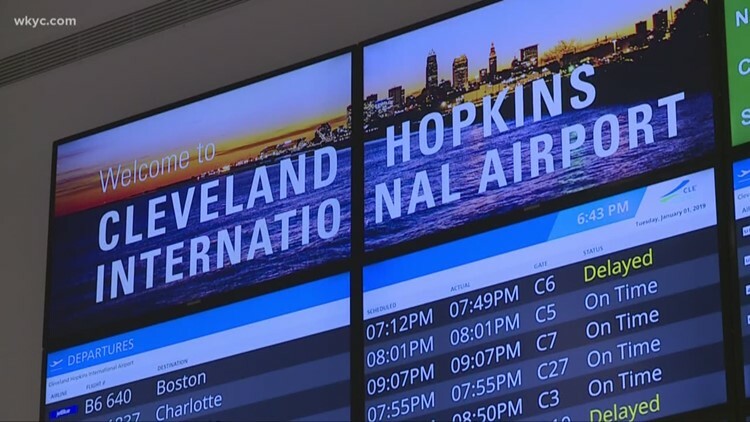 CLEVELAND — Just over a month after implementing changes designating the area where ride-sharing and private car services could pick up and drop off passengers at Hopkins International Airport, the city of Cleveland has reversed course. In a statement released Saturday, the city says several capital projects at the airport are expected to impact the current pick up and drop off locations. City council demanded answers Monday, expressing frustration that council members were not informed of the reversal in changes over the weekend. Starting on Feb. 18, passenger pick up and drop off for ride-sharing and private car services will once again include access to the upper roadway near the ticketing level of the terminal, at departing airlines' doors, as well as the lower roadway outside of the baggage claim area. The city says as the improvements take shape it will continually monitor the ground transportation system at the airport. The city's statement also says that as the airport starts its new master plan process this year, a permanent plan will emerge to address airport arrival, parking and access to ground transportation.